You already know what you want to do with your tax refund, don’t you? Even if you haven’t filed, vacations, pet projects, or catching up on bills are all being itemized in your head – but wait. What if you could get more than you expected? By taking advantage of these five tips, you could get a larger tax refund than you ever have before, and ensure that next year’s is even bigger. 1. Itemize The most reliable method of boosting your tax refund is by itemizing your deductions. Sure, going through the complicated forums to figure out what would qualify as a deduction and what would be laughed off by your tax lady is about as fun as pulling teeth – something within pain killers – but when you’re looking for the dollar amount on your check to go up, it’s a vital tool. - Money Donated to Charity Money given to charity is tax deductible, so you’re helping yourself as much as you’re helping whatever cause you’ve donated to. By simply choosing the standard forum without itemizing your charitable donations, you’re jumping right over this advantage and making the government overlook the extra funds they owe you. - The Cost of a Home Owning a home helps the economy, and the government is looking to reward you for paying your mortgage regularly. By itemizing and therefore bringing attention to this expense, you can receive a break on your taxes and see a hefty return on your refund. 2. Take Advantage of Other Deductions and Credits - Retirement Plan Money dedicated to a retirement plan is a big investment, and you don’t have to be old and grey to see the rewards of it. Many overlook this as a deduction to be included in your taxes, but by listing this investment, you can tilt the scales of “owed to the government” and “government owed to you” significantly. That’s money you can spend enjoying a sweet vacation in the Alps – and if you’re lucky, you might even get some more medical bills there to write off too. - College Funds While the economy has made it harder for people to prepare for their children’s future, if you do have the pennies to rub together to make a college fund for your child, it’s important to include this on your tax forum. As a necessary expense for your future – and the country’s – your refund will reflect your investment. - Child Deductions We all want our children taken care of, but they’re no doubt expensive. No one wants little Timmy running around unattended, so listing your children as dependents has impressive rewards in the way of your returns, with the possibility of not only dodging having to pay in but doubling your return. 3. Get Your Taxes Done Professionally Tax season is scary. Is there anyone who really likes the long forums, the complicated paperwork, the never-ending numbers, and the frightening chance of messing it all up and finding yourself in hot financial water? Getting your taxes done professionally, either with a real person or with reputable software, is crucial to not only avoiding a disaster but also making more money. - Turbo Tax This software is one of the best on the market, not only for its ease of use and trustworthiness, but also because you can have instant access to a real professional to help guide you through the complicated process. With its efficiency in helping you itemize, decide on your deductions, and file your status correctly, you can perfect your tax forum and have the greatest chance of a return. - Consult with a Professional There’s nothing like a real human to make the process easier. Although typically more expensive and maybe even more time-consuming, going to an actual professional at H&R Block or the like can see your refund sky-rocket. Since they’ve been around the block, they can help you decide where to focus deductions, how to file the most beneficial status, and how to get the biggest return possible. As an added bonus, if they want your repeat patronage, they’ll do their best to see that your return is better every time. There are many smaller and more local tax consultants that can help you as well. 4. Invest Before January 1st Any investments made before the end of the year count to that year’s expenses, even if it’s December 31st. The more you can tack on that date, the better, so you will have more deductions and credits. - Buy Business Equipment Should you have a small business and be considering new equipment for the coming year, don’t delay. By investing in those expenses now, it’s a write-off you’ll have for the next year, and the money you make in your return can be reinvested. - Pay Your Mortgage Paying forward is always an advantage, but even more so during tax season. If you have already paid December’s mortgage, you can also pay January’s at the same time and count it as an extra deduction on your taxes, boosting your return with just a few minutes’ effort. 5. Update Your Filing Status There are five statuses in total when filing your taxes, and each comes with a range of advantages and disadvantages. While it may seem like comfort-food time going over the list and deciding if you apply, simply moving from one status to the next can impressively boost your return while lowering your general expenses. This can be as easy as filing separately rather than with your spouse, so you can both collect an individual return. - Consider Your Tax Credit If you happen to be a student or have little income, the government offers a helping hand by offering tax credit to make living more manageable. Most overlook their tax credit out of ignorance or fear of the complicated process, but this means there is money that belongs to you just out of your reach. By consulting a professional and actually cashing in on these credits, you can see your return double. 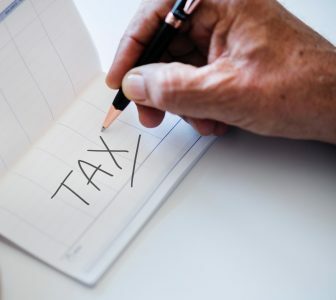 Everyone wants a tax return, but you can have more than that – you can have the biggest return ever just by utilizing these five different ways.